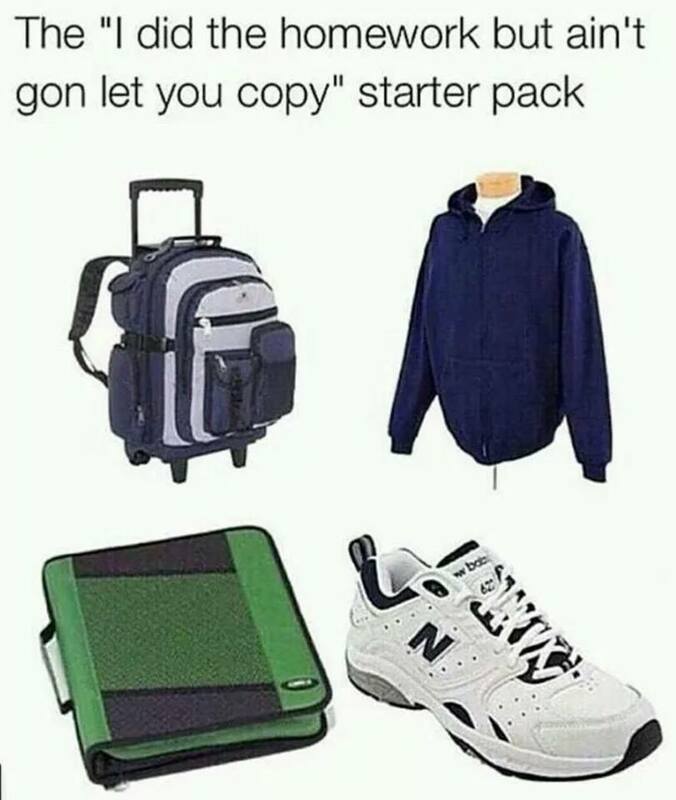 Right now the “Starter Pack” (also known as starter kit) meme is trending on social media. It’s a visual representation of all the things you would need to get something done or to embody a certain kind of person. They normally have 3-5 objects that would be required. They get REALLY funny. It’s the end of the semester and I’m sure we’re all feeling a little burnt out and could use a good laugh. 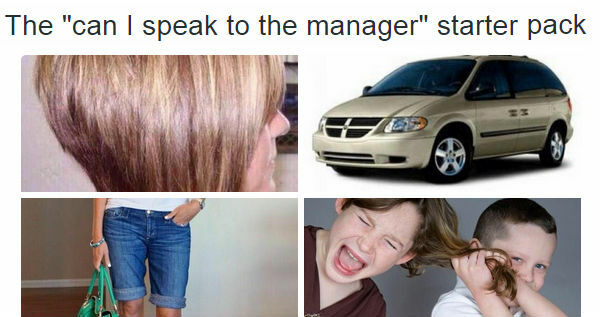 I think the starter pack meme a great opportunity to poke fun at ourselves AND share with the public what we use in our daily jobs. I’ve created the two memes below which you are more than welcome to share. 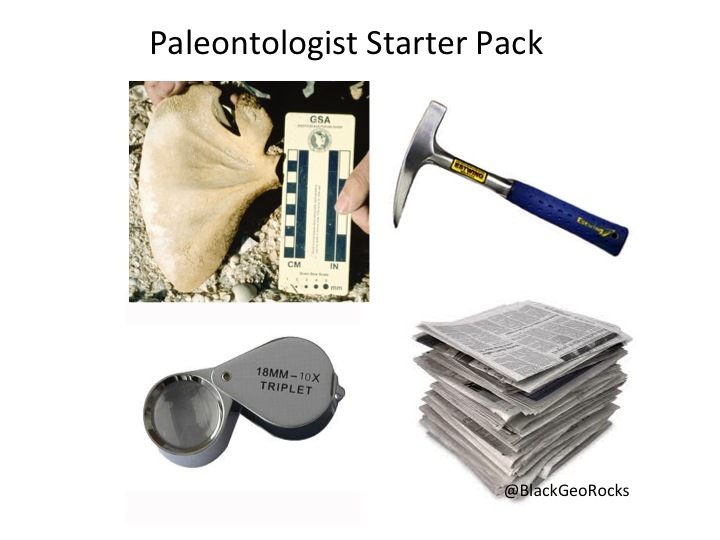 Please tweet your own specialty starter packs (geochron, petro, sed, geophys, hydro, etc) using the hashtag #GeoStarterPack. Feel free to include mass spectrometers, thin sections, sieves and other equipment that might be advanced. I’ll storify the tweets and share them so we all have a library of funny and informative geoscience starter packs. 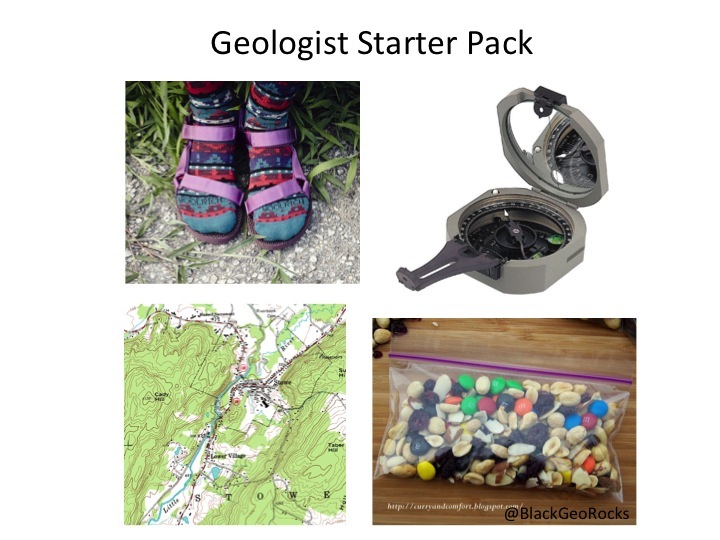 Can you really be a geologist without tevas with socks and homemade trail mix in a ziplock baggie? What would we do without the GSA photo scale and newspaper? It’s the little things. What?! I feel it’s our right as geologists to wear socks with sandals! I even wear them at home.